23-year-old industrial design student of Mid Sweden University Marouane Bembli created a futuristic concept car R10, which in his opinion, should in future replace the Audi R8. 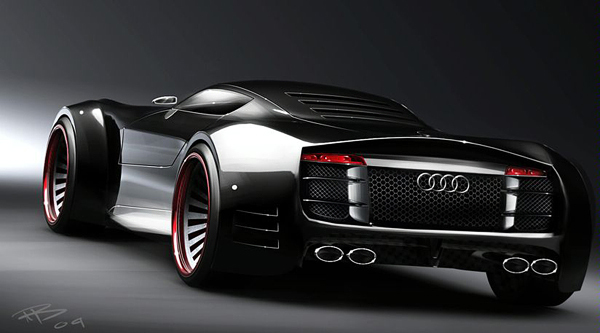 "I modeled a new supercar, Audi R10, and I believe in it" – said Bembli about his work. He also noted that he imagine the overall weight is around 1,200 kilograms and a powerful V10 under the hood. It’s just a CGI dream but who knows… And if you need something more – be sure to check 15 Best Concept Cars of Largest Automakers. It’s a beautiful concept, but does it come up with a 3D virtual reality system inside? Blind “spot” isn’t really adequate to describe how little visibility you’d have in this thing.